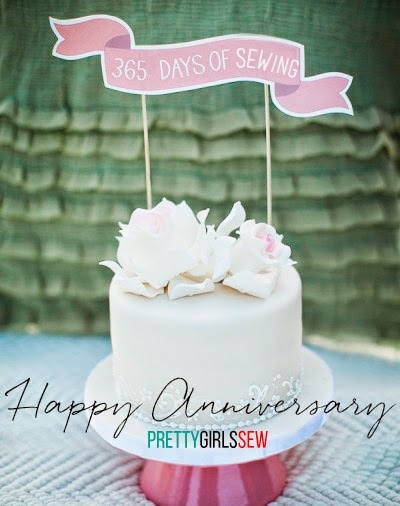 HAPPY ANNIVERSARY, PRETTY GIRLS SEW! Pretty Girls Sew Turns ONE! It has been an amazing year teaming up with these creative minds, Tess, Miesha of Semi-Southern, Tab of Cheap But Chic, and Jenell of DViNT. I'm also very grateful to everyone for their support and participation throughout the year. Each of the PGS Ladies have written a personal thank you note to You! Visit www.PrettyGirlsSew.com to view them. Happy Anniversary, PGS! Looking forward to the next year.